Pope Leo XIII experienced in his life-time the power of Rosary as a mighty weapon to fight against the powers of darkness. He started a special devotion for this prayer dedicating the month of October as the month of Rosary. The Rosary was given to Saint Dominic in an apparition by the Blessed Virgin Mary in the year 1214. The Blessed Virgin Mary promised to Saint Dominic that “Whatever you ask in the Rosary will be granted”. 15 promises were imparted to Saint Dominic for those who devoutly pray the Rosary. The Rosary will cause virtue and good works to flourish; it will obtain for souls the abundant mercy of God; it will withdraw the hearts of men from the love of the world and its vanities, and will lift them to the desire for eternal things. Oh, that souls would sanctify themselves by this means! In 1999, she accompanied a group of 45 Germans who came to India to attend our retreat in Kerala, brought by Sr. Margareta Valapila, and she was one of the translators. Thereafter she said: “I want my German-speaking people to experience this retreat”. So very enthusiastically she took up the work of organizing our retreats from the hands of Sr. Margareta Valapila, who had organized our retreats for the first three years. 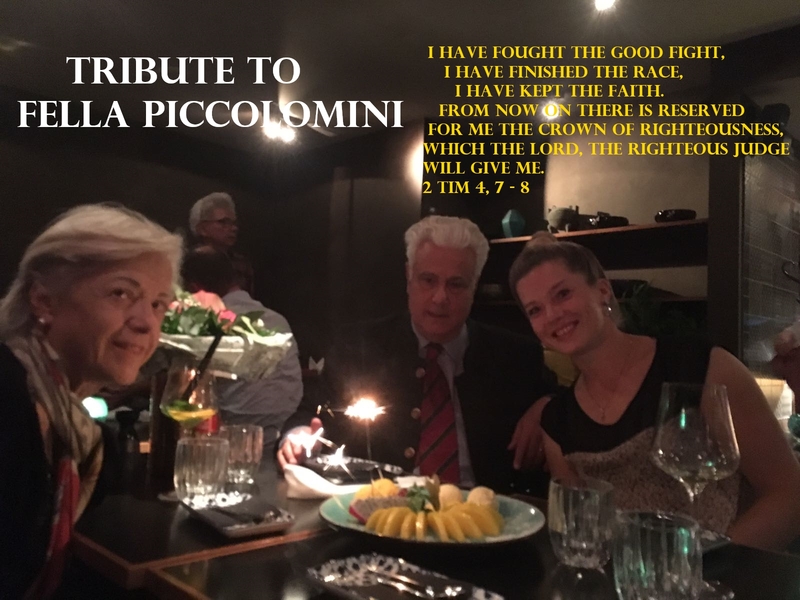 She was very patient and compassionate with the counselees who sought our help and was ever ready to sacrifice her time to bring people to the healing love of the Lord. I can only thank the Lord for the gift of Fella for our ministry in Europe. Her house was a second home for us in Europe. She was seeing to all our travel details, within and outside Germany, booking our tickets and making sure that we are safe and sound. Even though her physical health was deteriorating since few months, she was very alert in her brain and mind and undertook all arrangements of our retreats till the last moment. May her soul rest in peace and may she intercede for our ministry sitting in the glorious Presence of the Lord. 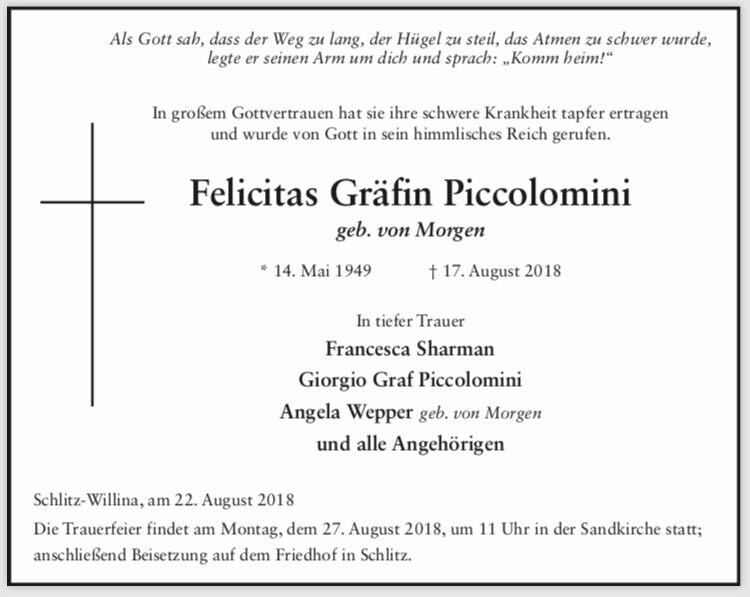 The funeral of the dear departed will be on the 27th of August at 11 at Sandkirche statt, Schlitz, Grabenberg. Today, the 21st of November the Church celebrates the Feast of Presentation of the Blessed Virgin Mary. 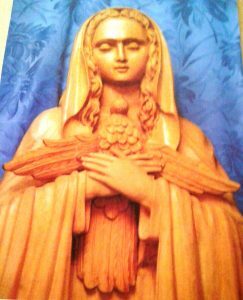 God has chosen her to be the uncorrupted Ark of the dwelling place of His Son, our Saviour Lord Jesus Christ. Mary sang in her ‘Magnificat’ (Song of Praise’): “Surely from now on all generations will call me blessed” (Lk. 1.48). The Church gives her due respect and honor because God has chosen her and honored her ‘looking with favor on her lowliness’. Let us honor this ‘gentle woman’, ‘Morning Star’, ‘Virgin most pure’, ‘the most beloved of the Holy Spirit. St. Louis de Montfort has said: “When the Holy Spirit finds Mary in a soul, He flies to it”. Please listen to the audio ‘Recognise Christ in you’ in the page Media (with Ukranian translation).